Professors Masahiro Matsuura (Meiji University) and Go Yoshizawa (Osaka University), under the auspice of SciREX Center at the National Graduate Institute for Policy Studies, are collaborating with the RRI-Practice project for exploring the practice of responsible research and innovation in Japan. Meiji University was founded in January 1881 as a law school and is a private educational institution with 33,000 students. Osaka University is a national university corporation based in Osaka Prefecture with a focus on research and education. The two professors are exploring different kinds of Japanese practices of co-creation – one of the goals pursued in the national science and technology policy – by studying different research and funding agencies in Japan. Teams from the National Research Tomsk Polytechnic University and National Research Perm Polytechnic University will conduct a parallel study of RRI in Russian institutions, based on the protocol for the RRI-Practice project. 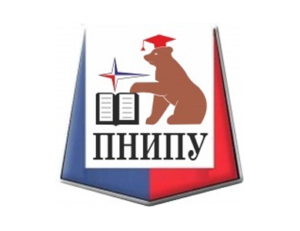 The Tomsk Polytechnic University RRI team includes Dr. Denis Chaikovsky, Dr. Natalia Cherepanova, Dr. Liliya Tukhvatulina, and Dr. Natalia Goncharova. One of the leading universities in Russia, Tomsk Polytechnic University was founded in 1896. It is an aspiring entity of traditional engineer research and education with 20,000 students. Perm Polytechnic University is represented by Dr. Elena Seredkina and complements the Russian RRI research group. Perm Polytechnic University, with the first RRI lab in Russia, collaborates with high-tech industries, and ecological NPOs. The initiative team unites researchers from these two universities to collaborate with the RRI-Practice project to create a national case study of RRI visions among major actors of the wide Russian research and science community. The goal is to investigate the perception of RRI ideas among individuals, influencing national research policies in Russia, national research funds representatives, and leading scientists.